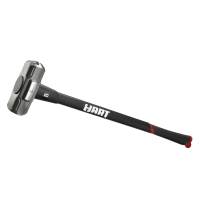 Perfect for breaking up concrete, stones and bricks, or any task that requires extra force. 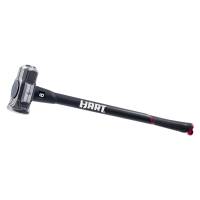 The Cross Strike face of Hart's Sledge Hammer is perfect for breaking up concrete, stones and bricks, or any task that requires extra force. 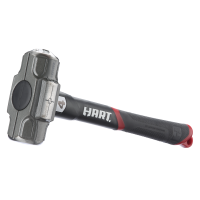 Hart's 8lb Anti-Vibration Sledge Hammer contains a first in sledge hammer innovation; 2x anti-vibration chambers inside the forged head. 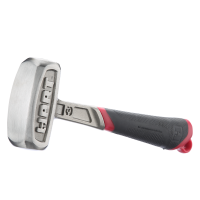 The chambers contain steel shots which absorb the vibration from every strike.